Fix broken school items, decorate, and create new projects! 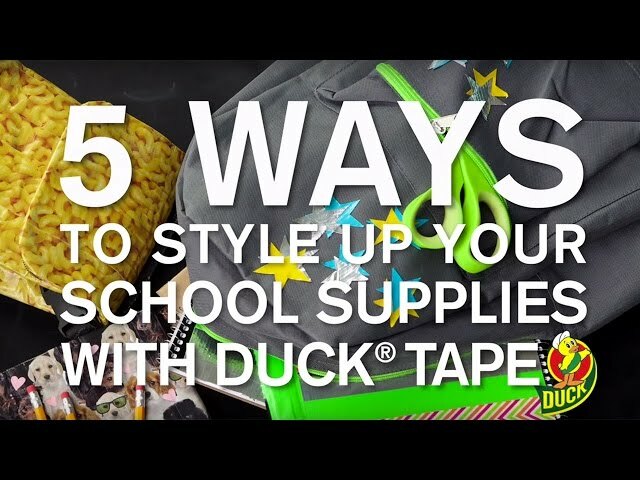 We handpicked this because kids LOVE Duck Tape! It's not just for fixing broken items (we're looking at you school binders) it's great for new projects like Duck Tape purses, wallets, and color-coded pencils. A simple solution for your toughest or most creative craft and DIY projects. Use colors to coordinate and match your latest fix around the house, decorate and customize your space or even make a colorful DIY folder or rose. Parents can even use it for heavy-duty outdoor use, gardening, bundling, and labeling. Solid Color Duck Tape - Merlot - 1.88" x 20 yds. Solid Color Duck Tape - Just Peachy - 1.88" x 20 yds. Patterned Duck Tape - Rubber Duckies - 1.88" x 10 yds.